The Zionist Council of Victoria has been renamed Zionism Victoria. Accepting that the New Year is a time for renewal – the ZCV believed it isa time to reflect on the past and a time of resolve to look forward and face the coming year with a fresh and modern attitude. In a statement Zionism Victoria said: “For the Zionist Council of Victoria our resolve for the New Year reflects itself in a new identity that clearly articulates its role as a modern, engaging and all-encompassing Zionist organisation. It is with great pride and pleasure that we move our organisation out of the communal “alphabet soup” and into a new era under the banner of Zionism Victoria. Our community’s Zionist movement is strong, active and diverse. Zionism Victoria projects our inclusive and welcoming attitude. 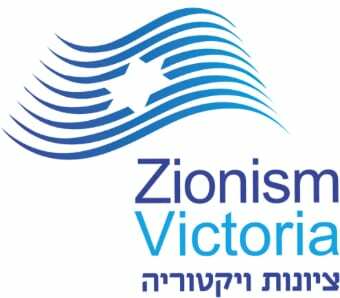 Zionism Victoria will continue to be a vigorous organisation offering a range of programming and services that connect Victorians to Israel. Zionism Victoria reflects our active, dynamic and engaging role as a convener and centre of Zionist activity. 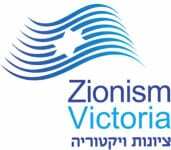 Zionism Victoria is a distinct, representative Zionist organisation – the home of Zionism in Victoria. In the months leading up to our Annual Assembly and the official launch of our new name you will see the progressive adoption of Zionism Victoria in all of our material. Zionism Victoria wants your involvement in connecting the community with Israel, and we want to hear from you – what are your dreams and aspirations for the Victorian Zionist movement?